We also have lunch and snack breaks where we encourage parents to bring healthy meals and snacks for their children. 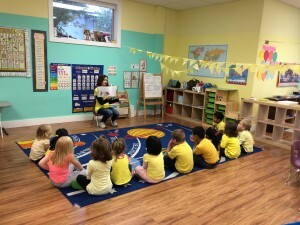 Additionally, we also provide quiet/nap time in the afternoon for kids to rest their bodies and minds. While free play activates the children’s minds and bodies, they enjoy it with other children as they expand their sphere of acquaintances beyond the scope of family. At this age, friendships with peers does not only become increasingly important to them but also develop their social skills.They start learning to share toys, play together as well as speaking to each other developing their verbal skills. The children are able to develop healthy minds as they engage in different activity from playing games, yoga (exercise on breathing and body coordination) to follow the music rhythm. The body movements help supply the oxygen to their brains. 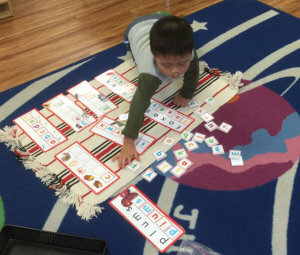 This is a good start in preparing their brains in grasping the topics they will learn at the Preschool Program. 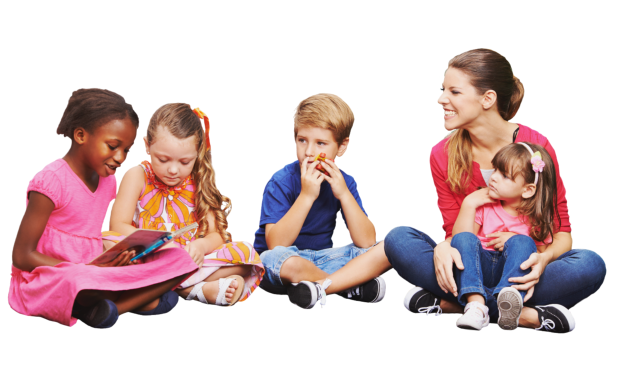 In this activity, the children foster a sense of community as they experience a feeling of belonging to the group as they embedded in story time with the teachers using colorful pictures, singing, or doing skits. 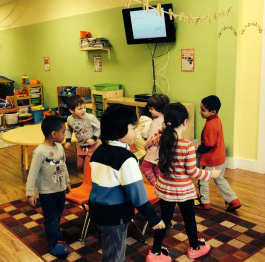 Music is also an important part in circle time encouraging them to follow musical rhythm by joining of hands and the synchronization of movement and gesture as well as singing. This activity can give benefit not only to the children who love to participate in a discussion but also to a child who is shy or feel awkward in a group setting. 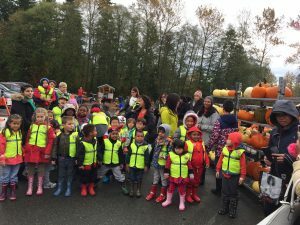 This activity develops their positive self concept and accurate perceptions of different subject from science, sign language, early literacy including learning French to building community etc. The children are given opportunities to learn and practice how to move on stage, deliver a line, sing or dance. This program will help the students boosting their confidence in themselves. We maintain on-going communication with the parents to ensure that the children would only be given healthy lunch and snacks. For morning snack time, we encourage parents to provide the children with only fruits and vegetables. Parents send their children with cut fresh fruits they enjoy at snack time. Several important nutrients like vitamin C, potassium, fiber and folate are very crucial in helping the children’s physical growth. Preparation for lunch, the teachers start with instruction on proper hand washing as part of the rules of health & hygiene. This routine helps prevent illness from spreading. finishing their lunch as well as cleaning up their tables at lunch time develops their sense of responsibility to take care of themselves. This is also another way of helping them to socially interact as they have lunch together. For the children who are in full-time program, rest is important, especially after all the activities they do in the morning. Cleaning up together gives them a sense of teamwork. The children need to be given the appropriate responsibility and are encouraged to be independent. As they accomplish this task, they feel good about themselves and gain more confidence. Self-help skills are also encouraged to help the child develop their motor-skills. 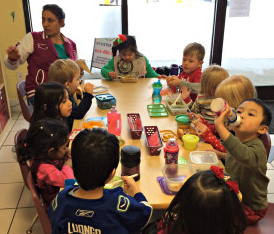 For questions regarding our Group Child Care Programs, kindly talk to us at 604-496-5115.